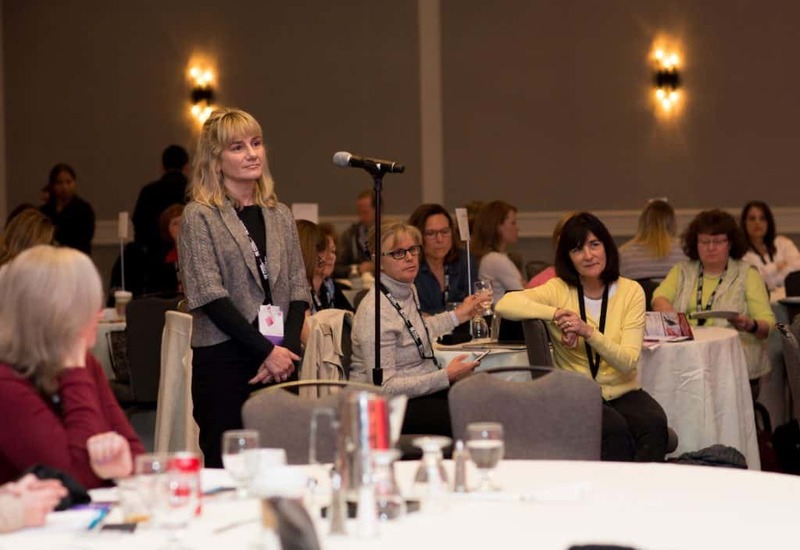 A variety of sponsorship and marketing opportunities are available for PCNA supporters or exhibitors to enhance their presence at the Preventive Cardiovascular Nurses Association’s Annual Cardiovascular Nursing Symposium. Sponsors reach between 250 – 350 cardiovascular specialists that spend nearly 60 minutes on initial patient visits and 30 minutes on follow-up visits. For more information, contact Sue Koob, CEO at skoob@pcna.net or 608-250-2440. Support the most popular events at the PCNA Annual Symposium – attendee meals. CE and Non-CE Product Theater events available. Gain access to attendees on Friday night in the exhibit hall. PCNA will provide two drinks per person and hors d’oeuvres. Sponsors will have the option to speak for 5-10 minutes at event to welcome attendees. Sponsor will also have the option to work with PCNA to incorporate collateral into the event. Company name will be printed on signage located outside of reception area and in the exhibitor hall. Sponsorship designation will be included in the official Symposium Guide, on the PCNA Mobile App, and on this website. Support the leadership development of 50 individuals within PCNA at an invite-only reception at the Annual Symposium. Sponsor would receive 5 minutes at podium during the reception. Gain consumer insights during this one-hour non-competitive timeslot with 10-12 members selected by PCNA based on supporter’s criteria. Work directly with PCNA meeting planner to secure all details. Additional costs may apply for food, beverage and audio visual. Please over 450 symposium attendees with food & beverage breaks during the Annual Symposium. PCNA will provide coffee and tea for day of choice first come first serve on Friday, Saturday, or Sunday. Food and beverage breaks are highly visible and very popular with attendees. Sponsor will have the option to print company name on napkins and/or cups (additional fees may apply). Company name will be printed on signage and placed outside break area. Sponsorship designation will be included in the official Symposium Guide, on the PCNA Mobile App, and on this website. Hold a screening event during the exhibitor hours or in the morning before breakfast if fasting is required. This opportunity is limited to PCNA Supporters. Host the popular Symposium Lounge – THE place for attendees to gather and network. PCNA will provide furniture to be placed in the Exhibit Hall. Sponsor will have the option to have their booth placement directly next to the Symposium Lounge for higher traffic during exhibitor hours. Company name will be printed on signage and place outside the Symposium Lounge area and in the general exhibitor area. Sponsorship designation will be included in the official Symposium Guide, on the PCNA Mobile App, and on this website. Access 200 individuals by sponsoring live webcasts. PCNA will cover the cost to stream sessions live to participants. Sponsoring company will be recognized on slides during all breaks, and well as in the official Symposium Guide, on the PCNA Mobile App, and on this website. Reach all symposium attendees by sponsoring the attendee tote bags. Company name will appear along with the official Annual Cardiovascular Nursing Symposium logo on all attendees’ registration bags. Sponsorship designation will also be included in the official program guide, on the PCNA Mobile App, and on this website. Hang your company around the necks of all attendees for the entire meeting by sponsoring the badge lanyards. Logo will appear along with the official Annual Cardiovascular Nursing Symposium logo on all attendees’ lanyards. Sponsorship designation will also be included in the official program guide, on the PCNA Mobile App, and on this website. Be the first organization viewed by symposium attendees by placing an ad in the inside front cover of the Symposium Guide. Sponsorship designation will also be included in the official Symposium Guide, on the PCNA Mobile App, and on this website. Be fresh on the minds of attendees by placing an ad on the back cover of the Symposium Guide. Sponsorship designation will also be included in the official Symposium Guide, on the PCNA Mobile App, and on this website. Stand out against vital symposium information by placing a color ad in the Symposium Guide. Sponsorship designation will also be included in the official Symposium Guide, on the PCNA Mobile App, and on this website. Be showcased with vital symposium information by placing a black & white ad in the Symposium Guide. Sponsorship designation will also be included in the official Symposium Guide, on the PCNA Mobile App, and on this website. Reach symposium attendees by advertising in daily symposium emails. Sponsorship designation will also be included in the official Symposium Guide, on the PCNA Mobile App, and on this website. Have your message seen in large customizable stickers placed strategically in the meeting space. Sponsorship designation will also be included in the official Symposium Guide, on the PCNA Mobile App, and on this website. Keep attendees hydrated during the Symposium. These water coolers will be placed in break-out rooms and the exhibit hall. Sponsorship designation will also be included in the official Symposium Guide, on the PCNA Mobile App, and on this website. On last day of Symposium only – help attendees store their luggage or other items during the final day of the Symposium. Location of Luggage Check is subject to PCNA approval and available hotel space. Sponsorship designation will also be included in the official Symposium Guide, on the PCNA Mobile App, and on this website. Reusable water bottles to be placed in each attendee registration bag. Company name will be placed on the bottle along with the official Cardiovascular Nursing Symposium logo. PCNA will supply the bottle. Sponsorship designation will also be included in the official program guide, on the PCNA Mobile App, and on this website. Help attendees count their steps with a pedometer to be placed in each attendee registration bag. Company name will be placed on the pedometer along with the official Cardiovascular Nursing Symposium logo. PCNA will supply the pedometer. Sponsorship designation will also be included in the official Symposium Guide, on the PCNA Mobile App, and on this website. Start the day with a brisk walk with fellow PCNA Attendees! Route will be determined based on hotel space and location. Sponsorship designation will be placed on signage strategically placed throughout the meeting space and near the start of the walk, and also included be in the official Symposium Guide, on the PCNA Mobile App, and on this website. Your support of educational programs and other approved functions increases your exposure while supporting the educational goals of the Cardiovascular Nursing Symposium. PCNA supporters will be recognized in the Symposium Guide, on signage throughout the conference, and on this website. Take a PCNA Continuing Education Course. We bring cutting edge information right to you.